Do you love to travel? 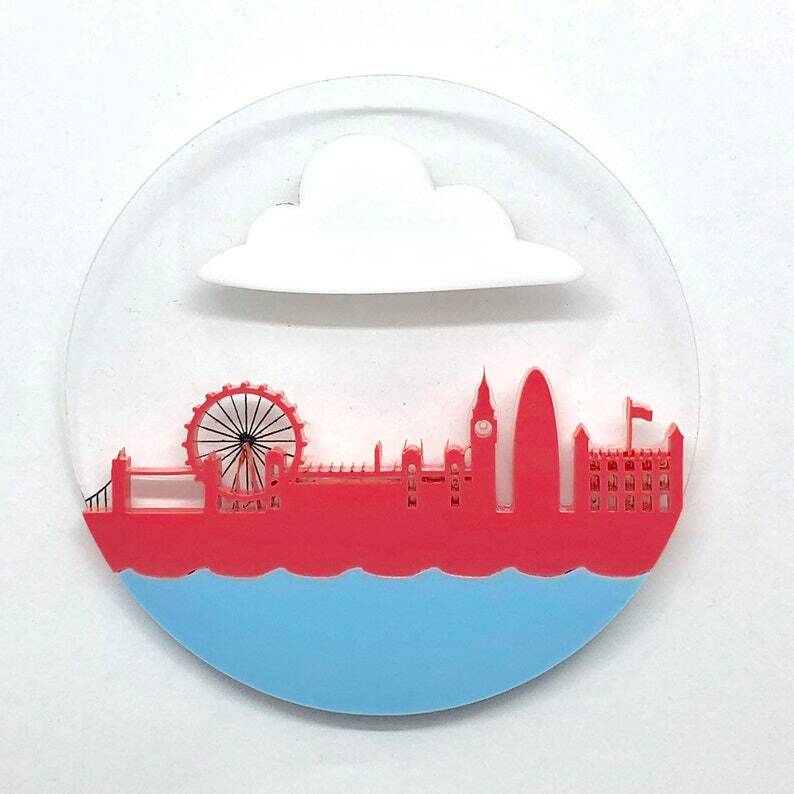 This LDN inspired brooch may be for you. Showing the London skyline and landmarks mixed with a slick design and bright pastel colours, this bad boys is sure to turn heads.